Design Theme: Yoga- style loungewear. Yoga means “connect”. Designer Keiko was born in Tokyo. 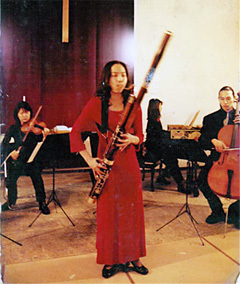 She went to Tokyo University of the Arts where she studied Classical Music. After graduation she moved to Italy where she enrolled in the Carlo Secoli Institute where she studied Textiles and Design. 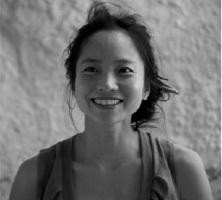 After graduating from Carlo Secoli Institute, Keiko started an apprenticeship at Via del Teatro studio in Prato, Tuscany. Via del Teatro was a humble but fruitful studio, and an essential part of the town. People would come daily and order custom clothing based on different fabrics, colors, and sizes. The relationship between the shop and the town, and the costumers and the clothing deeply inspired Keiko. She wanted to bring this intimate relationship between the shop and the community to Japan. This was her motivation to begin her own clothing studio. After returning to Japan, Keiko encountered Hemp for the first time. After learning of its forgotten uses in Japanese culture, it revitalized her interest in her own country. It is part of her mission to educate people about just how important hemp was and will continue to be. In 2004 she began producing and selling her own clothing line Lunati Canapa, Italian for “Moon Hemp“. Sustainable clothing made from sustainable materials, without sacrificing a sense of style and innovative design.